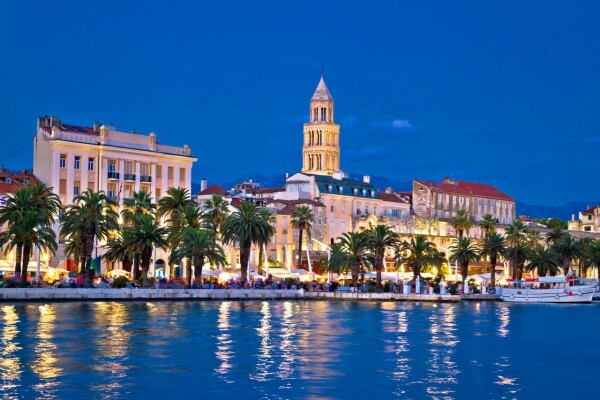 Looking for a transfer from Split Airport to Dubrovnik? We offer the best value for money Split Airport to Dubrovnik transfer in Croatia and can include stops along the way if you would like to make a day trip of your transfer. There is no doubt that taking a Split Airport to Dubrovnik transfer is the best and most efficient way to travel between Split Airport and Dubrovnik. A Split Airport to Dubrovnik transfer will take you around 3 hours and 30 minutes and includes crossing the Bosnian border at Neum. Along the way, many travellers like to make stops along the route from Dubrovnik to Split Airport to break up the journey. Whether it be Ston, Makarska or even Mostar, it’s a good opportunity to turn your transfer into a one way Dubrovnik to Split Airport day trip. If you are looking for a Split Airport to Dubrovnik taxi transfer look no further, then Octopus Transfers Croatia. We are number 1 on TripAdvisor, have the most competitive price for a private transfer from Split Airport to Dubrovnik. Providing our guests with the best service possible is our top priority. As such, all our Drivers are English speaking professional Drivers; our vehicles have Wi-Fi so you can stay connected and we offer complimentary water in our vehicles. Most importantly we look after your safety and will ensure you have a comfortable ride. All you need to do is sit back, relax and let Octopus Transfers Croatia take the wheel and we will get you from Split Airport to Dubrovnik in style. Prices from Split to Dubrovnik start from €210 and we have sedans, station wagons, minivans and minibuses for large groups ready to take you from Split Airport to Dubrovnik. Check out our prices at www.octopustransferscroatia.com or contact us at info@octopustransfers.com for a free quote.